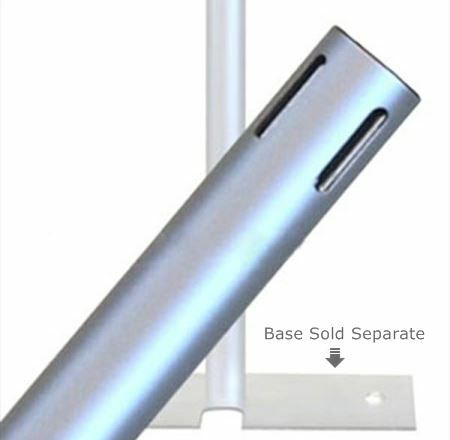 6 foot tall (72 inches) fixed height silver upright with a 1.5 inch outside diameter. 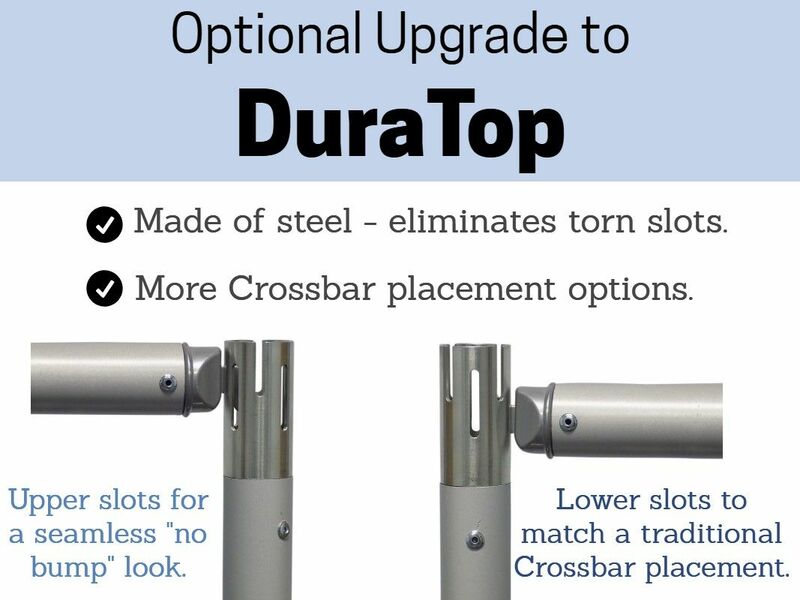 Four 90 degree slots at the top and at 3 feet tall allow for various configurations such as continuing a linear span, making right angle turns, creating "L" shapes, and adding shorter height side walls. 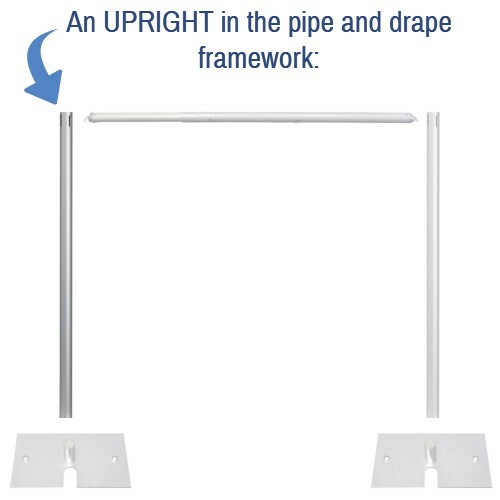 The minimum size/weight base recommended for this upright is our 16 inch x 14 inch (10 lb) base. This is my second purchase and I absolutely love how easy it is to use the pipe kit, I have been using my kit a lot and I get so many compliments on my backdrop decors, will definitely order again.